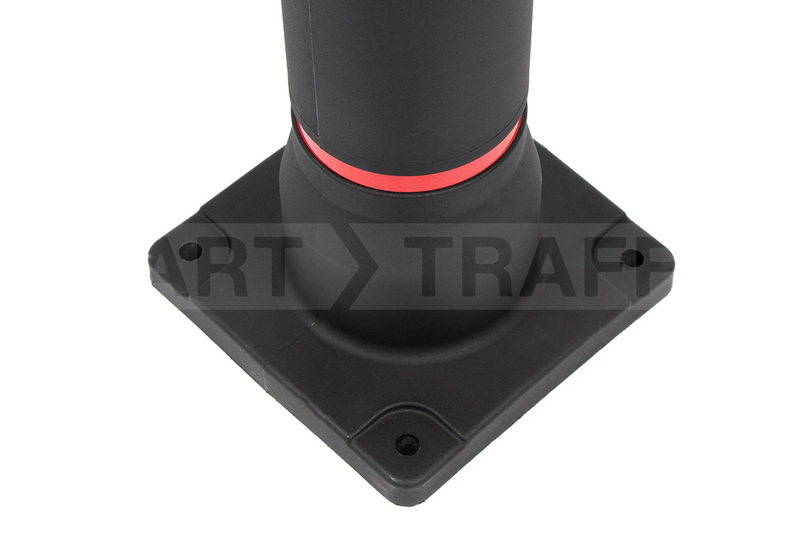 Cetus Bollard | Multiple Fixing Types | Trade Prices! 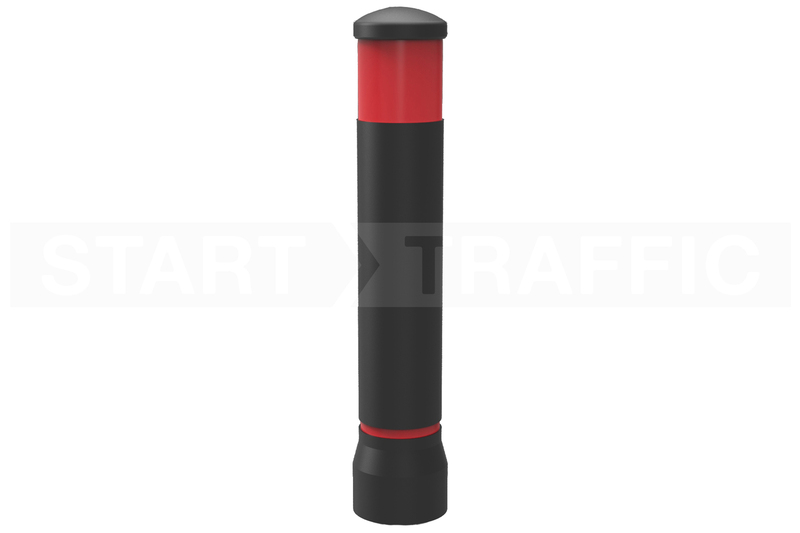 The Cetus bollard is one of the most simplistic plastic street bollards that we offer. 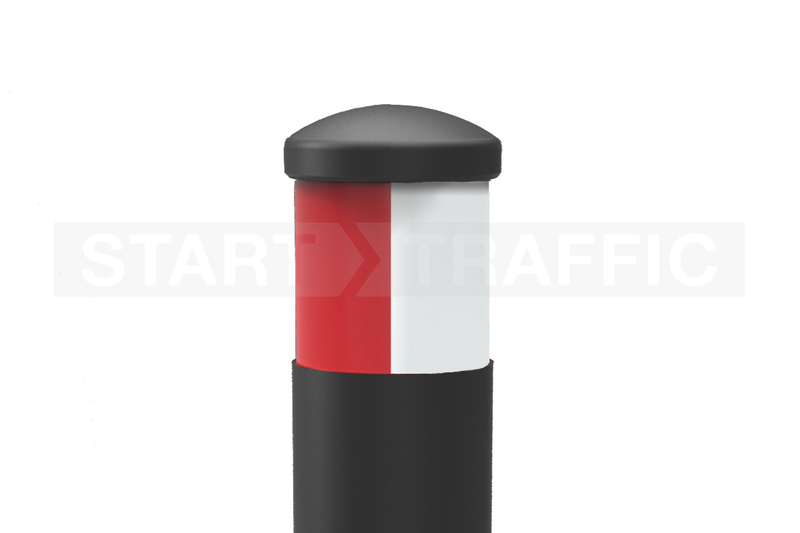 Like the rest of the ST-CITY series of bollards, it is available in passive, standard and anti-ram. The Cetus has only two slim reflective bands keeping a "toned down" appearance. Great for traffic calming applications around town. The Cetus is almost identical to the Apus but features twin reflective bands (one at the base and one at the top). Manufactured in the UK to strict quality guidelines the Cetus will stand the test of time with ease. 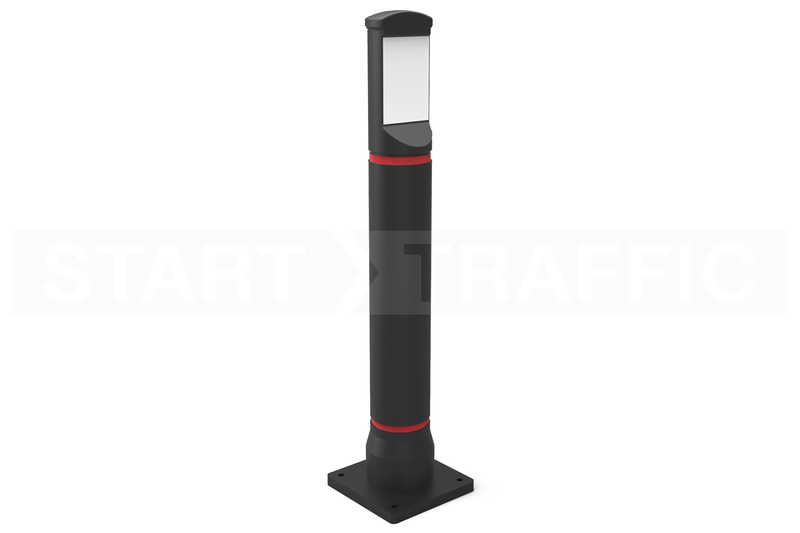 The Cetus bollard is available in one of three key configurations. 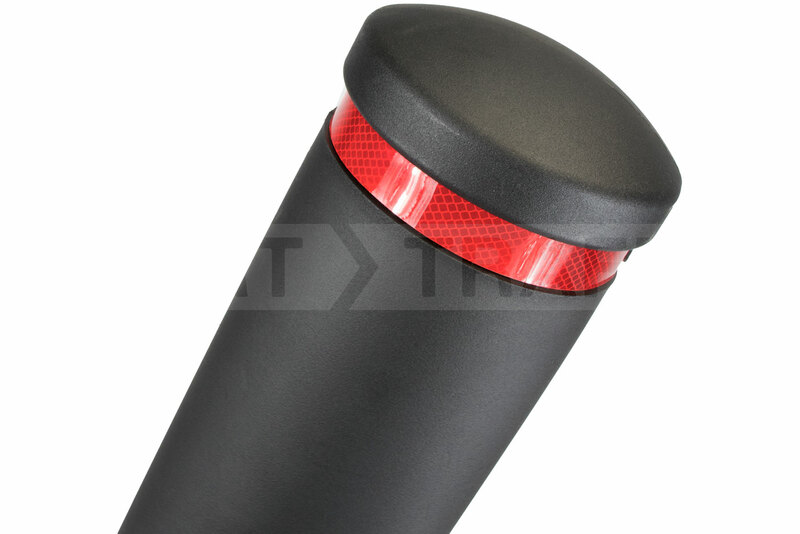 Anti-Ram - Choose the anti-ram option to get a Cetus bollard with a steel reinforced core. 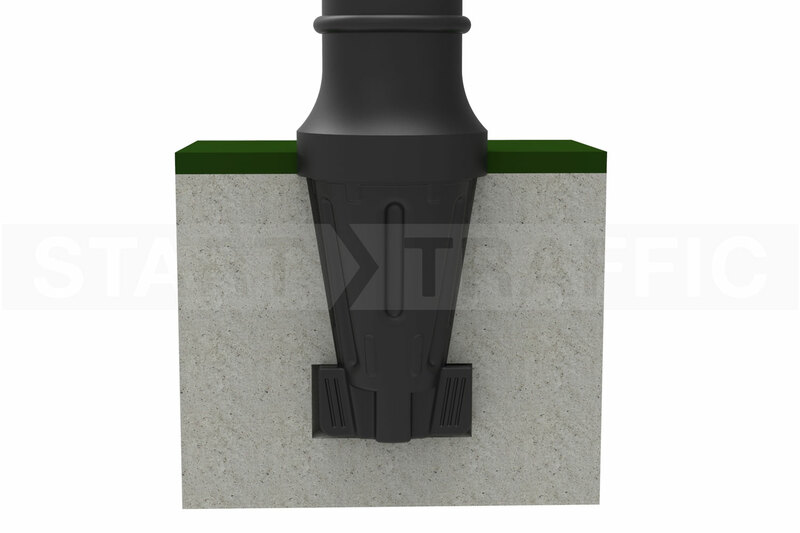 This reinforcement makes the barrier suitable for protecting shop fronts and important assets from vehicular impact. 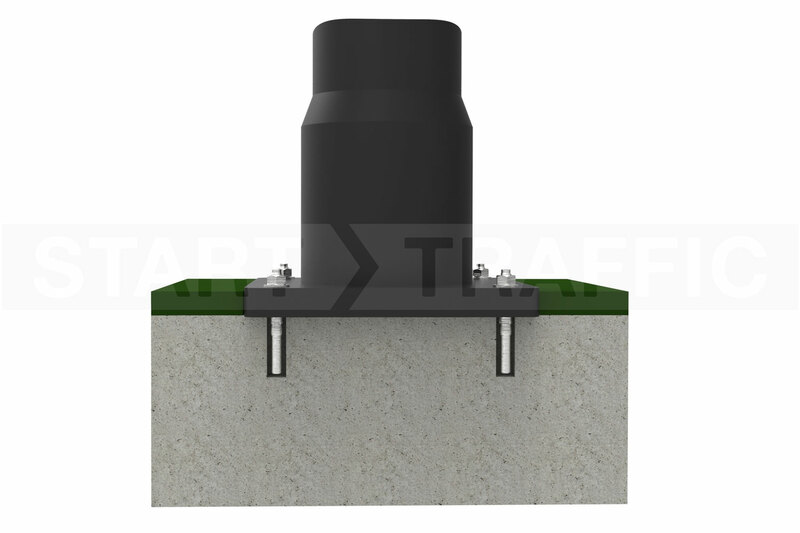 Passive Safety - Order the Passive Safety material when for applications where the bollard may be frequently run over. The passive safety Cetus will flex and stand back up after being run over. Standard Material - The standard material still has some flex, but will not withstand being run over completely. Choose this option for less vulnerable areas. You can order the Cetus in either black or white with a choice of reflective band configurations. The most popular colour for the Cetus is black. The reflective strip if needed can be ordered in one of three configurations. The reflective material improves visibility for both foot traffic and vehicle traffic. If you order the bollard with "none" for the reflective material it will be shipped with no reflective banding. The Cetus has three different fixing methods. These include surface mount, root fixing, anti-ram and of socket/LockSafe. The type you need will depend on a variety of factors, including if you are able to dig the post in, and if you need to be able to remove the post. The root fixing is very simple to install, and ideal for grass verges to prevent parking. You will need to excavate a small hole and cast the post into the ground. Use the socket where you would like to be able to remove the posts for routine access or events. The LockSafe socket requires that the ground socket is purchased separately. The LockSafe design will also fit into competitors products sockets (call for more information). Give our sales team a call to discuss delivery times, pricing and quantity discounts. Our phone lines are open weekdays during office hours, our sales line number is 01905 794 875.